The newest chapter in the smash hit STEP UP franchise reunites an all-star cast in glittering Las Vegas. 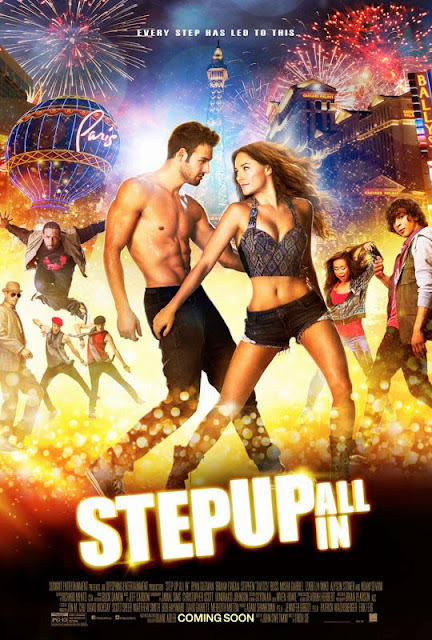 After struggling in Hollywood for over a year, Sean's (Ryan Guzman) crew disbands and moves back to Miami without him. Refusing to give up the dream, Sean stays in LA. When he hears about an upcoming dance competition in Las Vegas that could be the opportunity of a lifetime, he teams up with dance phenoms Moose (Adam Sevani) and Andie (Briana Evigan) to assemble a new dance crew. Reuniting with STEP UP favorites including the Santiago Twins, Jenny Kido and Madd Chadd (aka Robot guy) and a few new faces, the crew must band together in the finale in order to beat the contest at its own game.